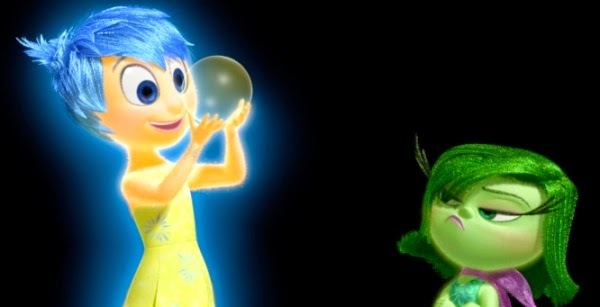 This is the first teaser trailer for "Inside Out," which is the big summer 2015 release from Disney/Pixar. Pixar is making it, and Disney is distributing it. Pixar took 2014 off - well, the animators and others working their butts off probably don't think that, but in terms of feature film releases it did - so there is a lot of pressure on "Inside Out" to perform. Of course, with the blow-out success of "Frozen," and "Big Hero 6" about to come out, Disney itself is sitting pretty and has nothing to worry about. Pixar itself, though, has a boatload of fans who are crossing their fingers over this one. The studio really could use a big hit next summer to rejuvenate its fan base which has been waiting for a long time now. You can't tell much from a teaser trailer, so we withhold any kind of real judgment until more is released. This could turn out to be another jewel in the Pixar crown, you never know. But this concept, well, let's just say Pixar has a big wall to scale to make this interesting. I will point out that the colored lettering that they employ reminds me (and not in a particularly good way) of the phonics way that they used to use (and maybe still do for all I know) to teach you how to read. Even the font they use is the same. I'm guessing they did a lot of research on this and came up with the conclusion that this is a way to subliminally get across the idea that this girl is learning something very basic, along the lines of how to read - but in this case, how to manage her conflicting emotions. That's a very murky area for an animated feature film. Neuroses? Fear? Sure, there are comedic possibilities, but they are facing a very fine line between getting bogged down and being too light-hearted about issues that face real people. Anyway, all that, combined with the lettering of the title card and the background music, sort of creates the impression that this is going to have some kind of '60s vibe. How that fits into a tale of a modern girl's inner emotions is going to be interesting to see. The animation looks top-notch, as always from Pixar, but is this a film about a grump? Overall, the trailer seems to have a rather downbeat air. That's not like Pixar, which made its reputation on sunny takes on life. So, we'll have to see about this one. 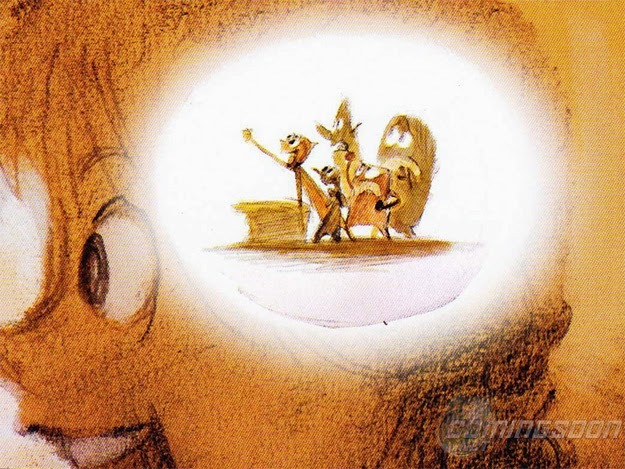 Original concept art for "Inside Out"